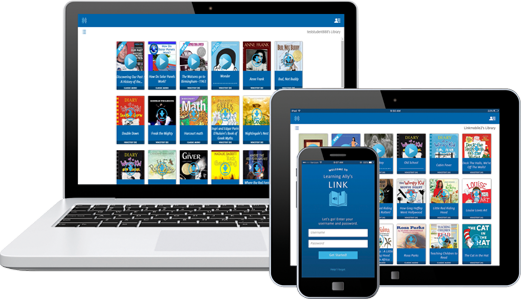 Learning Ally's award-winning reading app, Link, is designed for students who learn through listening. Students with dyslexia, learning disabilities, or visual impairments get equitable access to grade-level content at their fingertips. 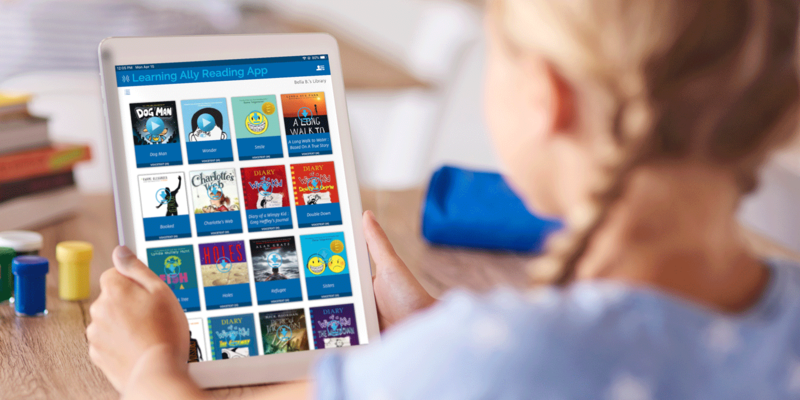 Students receive unique login credentials, allowing them to download any of our more than 80,000 audiobooks to their personal online bookshelf, giving them 24/7 access to our game-changing assistive technology. Through Learning Ally's reading app, Link, students have access to the textbooks and curriculum they need to read as well as the popular fiction and series titles they want to read. Human-read audiobooks plus highlighted text transform reading and learning into a multisensory experience. The app makes it easy to follow along by highlighting words as they are read to enhance comprehension, vocabulary and fluency. 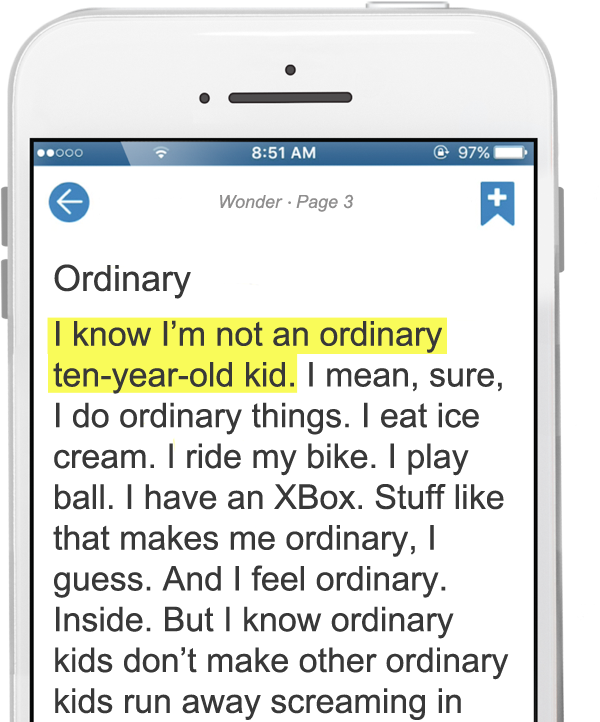 Sample RJ Palacio's "Wonder" on the Learning Ally human-read audiobook reading app. Download this quick guide for simple steps on how to install and use Link on your iOS or Android device. Download this quick guide for simple steps on how to install and use Link on your computer. Want to use our award-winning reading app? Can I save my downloads to an external drive? How do I cancel a download? Can I download audiobooks that are 2 GB or larger in Learning Ally Link for Chromebook? Are there any special technical needs for Link to work? Can I read a book without Internet access? How do I delete books from my computer? I want to change my default reading speed and settings, how do I do this? I just installed Link. Where are the books on my bookshelf? Can I save my downloads to Google Drive? Can I sync my books and where I left off with the mobile app? Are there different ways to view my books? I’m a teacher and want to see my students’ progress on books being read. Where can I find this? When I save a bookmark, where can I find it? I share Link with more than one student, is there an easy way to switch?